One of the big questions that’s plagued Marvel fans for a while has been the mystery surrounding who Donald Glover’s playing in Spider-Man: Homecoming. A few weeks ago, we thought we’d found the answer, via some info from the movie’s junior novelization, which claimed he was an original character named Alex. Thanks to the official cast list for the film, however, we now know the truth. And, just as fans have suspected for a while, he’s playing a character pulled straight from the comics. The cast list credits Donald Glover as Aaron Davis. If the name doesn’t ring a bell, that’s because he’s usually known as the Prowler, supervillain and cat burglar. In the Ultimate Spider-Man comics, Aaron’s the uncle of the second Spider-Man Miles Morales, and his thieving ways are instrumental in his nephew getting bitten by a radioactive spider. From what we know about Homecoming, Davies likely won’t suit up as the Prowler in the movie nor will his nephew make an appearance. Casting Glover in the role is a clever one, as it references the fact he’d previously campaigned to play Miles Morales. Seeing as the actor is too old to portray Miles in live-action – though he’s voiced the character in the Ultimate Spider-Man TV series – it makes sense to cast him as Miles’ uncle instead. The character’s inclusion also allows a way for Miles to appear later down the line, something star Tom Holland is definitely up for. Also revealed is that Michael Mando will be playing Mac Gargan. 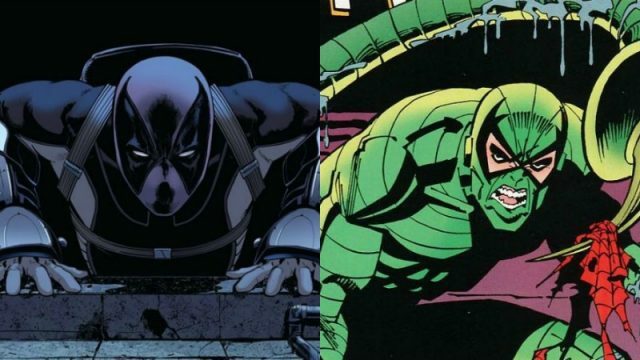 Again, the character is usually known in the comics as the Scorpion. Together with the Prowler, this makes for a heck of a lot of supervillains on show in Spider-Man: Homecoming. Remember that Michael Keaton is also on hand as the Vulture, with Michael Chernus as the Tinkerer. Not to mention the two versions of Shocker, as played by Bookeem Woodbine and Logan Marshall-Green, respectively. We’ll get to see how all these villains are balanced out when Spider-Man: Homecoming arrives in theatres on July 7th.